Holly began sailing at the Milwaukee Community Sailing Center in 1985 and has been hooked ever since. She worked at the Sailing Center for several years and then explored the world working on boats for the next 13 years. Holly got her U.S. Coast Guard Merchant Marine Captain's license in 1991 has since worked on many of Milwaukee's local commercial dinner cruise, excursion and construction tug vessels. 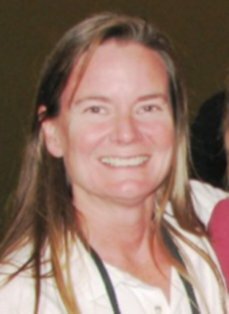 Holly returned to the Sailing Center as Director in 1999. She is in charge of the Sailing Center's special events, programming and staff training and development. Holly is US Sailing Certified in the following certifications: Level 1 Instructor and Level 1 Instructor Trainer, Powerboat Instructor and Instructor Trainer, Safety and Rescue Instructor and Instructor Trainer, and Keelboat Instructor. Holly is also certified to teach Red Cross First Aid, CPR and AED.